I find cruise liners fascinating from an engineering point of view. I very much enjoy documentaries about them, but the idea of spending my holidays on board one of them is simply not appealing. But Zambezi Queen is a different concept altogether. This is a boutique experience in one of the most amazing surroundings. It is definitely on my bucket list from now on. My only worry is that such a magical and exclusive experience might be only for over 50s that can afford it. But let’s not worry about those things quite yet. 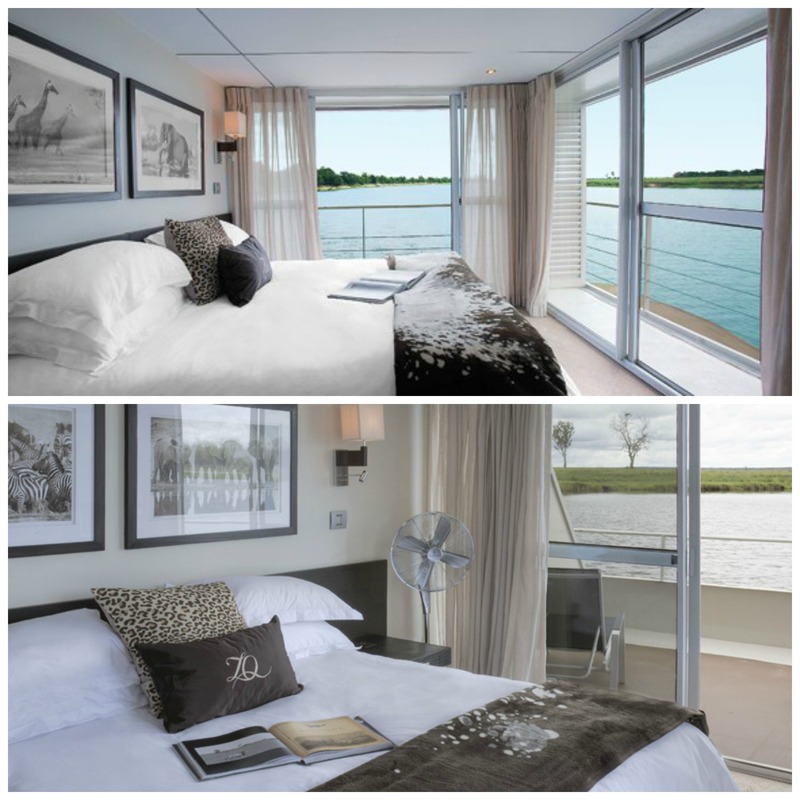 With only 14 suites, the Zambezi Queen is one of a kind in luxury African river safaris. 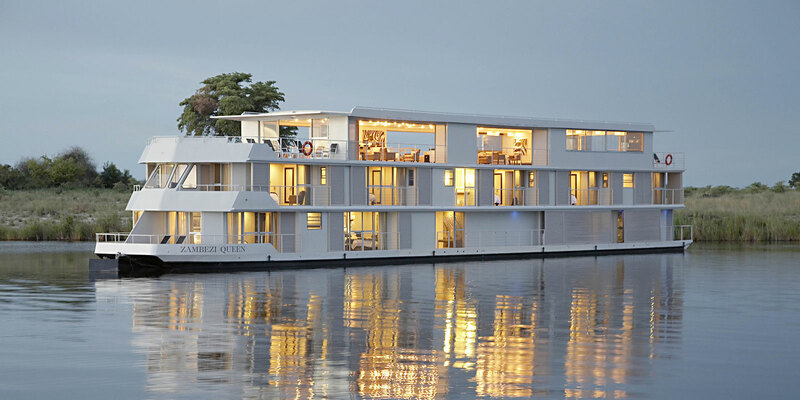 It was built in the 1990s to carry its guests on an extended journey from Katima Mulilo down the Chobe and Zambezi Rivers and back. 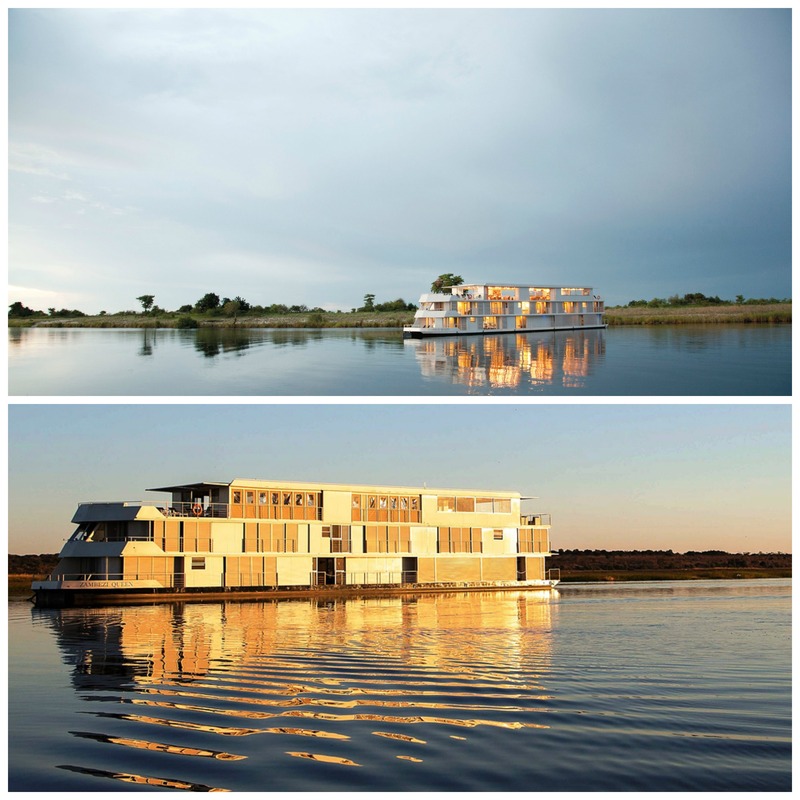 The sheer size of the vessel made navigating difficult and shortly after that, ended up moored along the river bank where it acted as a floating hotel to visitors to the Caprivi Region of Namibia. Around 2008, two entrepreneurs decided to restore it and they added a third deck as part of the renovation. 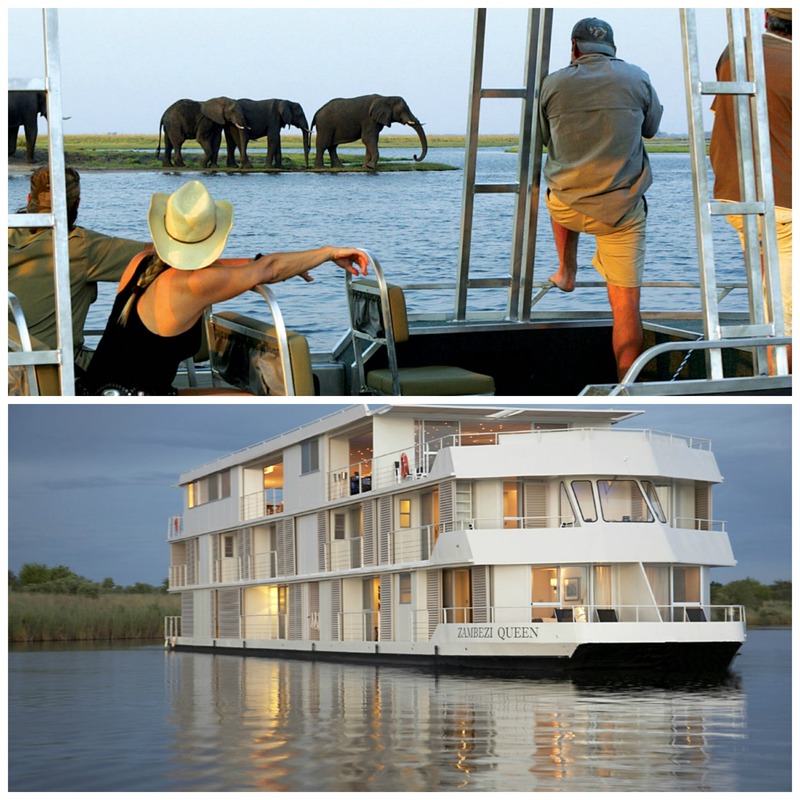 Now it travels along the banks of the Chobe National Park, famous for its prolific wildlife. Jenni Button is a famous South African fashion designer. She is responsible for the contemporary interior with understated muted tones. The main focus is the 360 degree view. 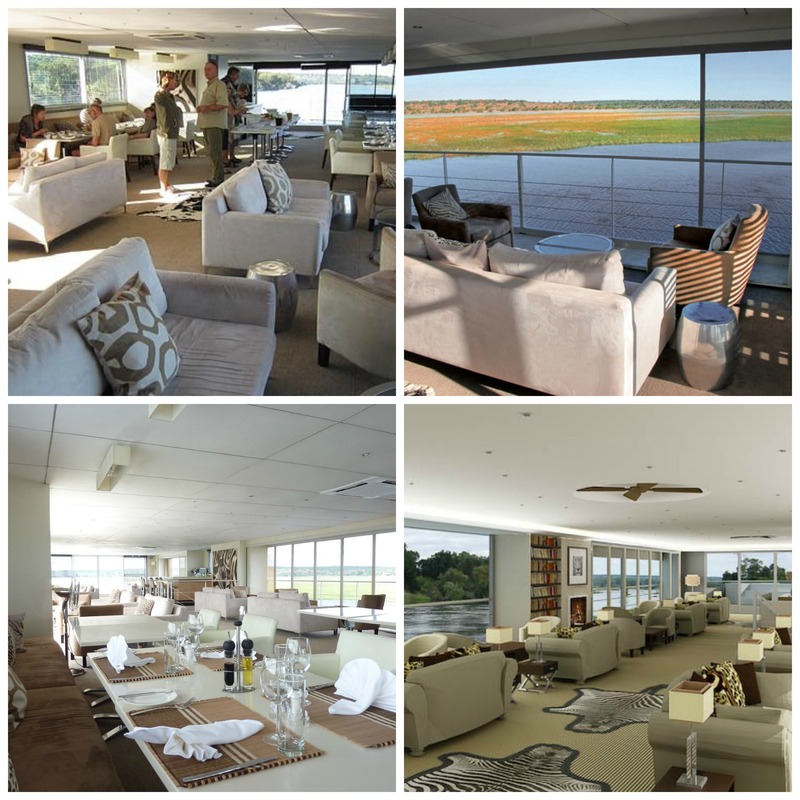 Each suite has air-conditioning and a private balcony, offering unobstructed views of the river and vistas. It is perfect to enjoy remarkable game viewing from the comfort of your bedside. Unlike a land-based lodge, the ZQ allows for an entire stretch of river to be explored. The banks of the Chobe National Park boast one of the densest populations of elephant on the African continent and it is also home to a large number of buffalo, leopard, lion and a variety of antelope and birdlife. It is a classy and elegant boat. Have a look at the following pictures taken at dusk.